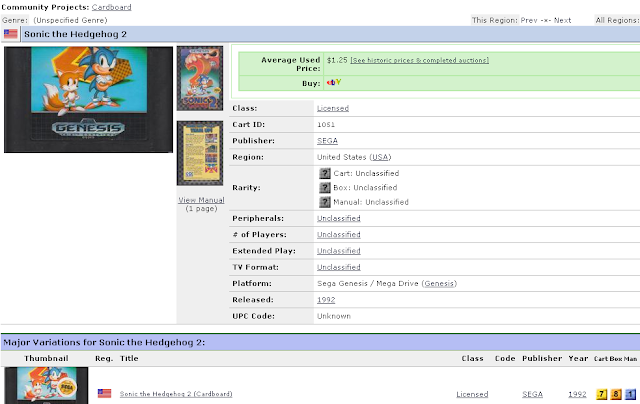 Awesome, any idea how NintendoAge calculates/determines the rarity levels for NES games? @xxxJoshHawkxxx - Good question. I will reach out to Dain and ask him. My understanding is the rarity is based upon experience and wisdom of crowds. If people feel the rarity score is too high or low for an item they will let Dain know so he can correct it, but I don't think there is any formula or hard data behind it. Nintendoage is pretty useful across a number of platforms. 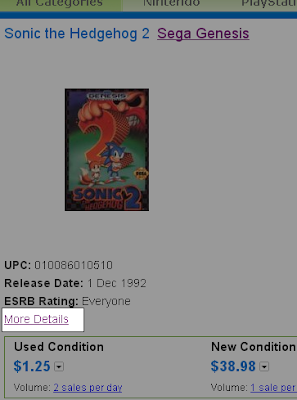 PS - I loved sonic 2! Interesting, thanks JJ. That makes sense though, it would seem like a pretty impossible task to get some sort of sales data for all of those older games.